Day one started with fear and trepidation of what was to come as our van crested through the Rocky Mountain range but it was Pepe and Americo who reassured us that we would make it through the five day trek that would test our strength and push our limits. 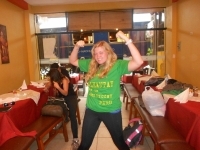 This was a challenging and rewarding experience for me that really showed me the real authentic Peru. The tour was action packed and well organized. The tour guides were wonderful and were concerned about my safety. The people of the tour were also amazing. This was an excellent trek for the price point. 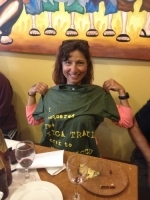 It was perfect for both avid campers wishing to be a bit pampered or those who don't necessarily have all the gear. It was nice to fill a full day with hiking and activities then to arrive at camp with tents already set up and food prepared for you. 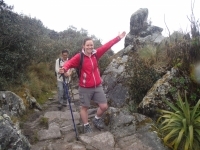 I had a wonderful experience with Inca Trail Reservations / Salkantay.org. 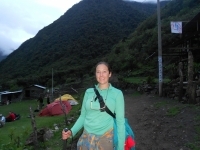 I did a lot of research before choosing a company to go with and Salkantay.org had great reviews and I had a friend used the company a year ago and enjoyed her experience as well. Apu Salkantay demands mental and physical strength. The adventure is well worth the challenge. I recommend this expedition to anyone that is physically fit. The experience will leave you feeling accomplished and stronger than ever. Prepare yourself by training, sessions on the stair master would be my recommendation. 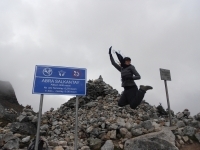 I was very nervous going into this trek because I had never done anything like this before. At the briefing it was nice to meet the others and go through every day hour by hour. Americo and Pepe were extremely nice and did a wonderful job making all of us feel very welcome. 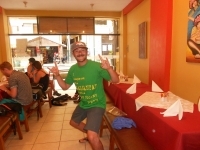 The Salkantay trail was one of the highlights of my three month trip around South America, the guide Raul made the experience one of the funniest I had during my trip. With the group being made up solely of males, it included its fare share of banter in which Raul was the one egging us on. 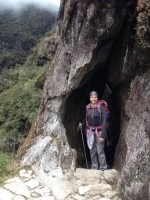 I thought the day trips to all of the Inca ruins would have prepared me for Machu Picchu. 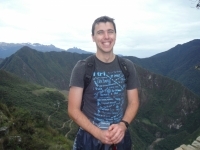 But as Machu Picchu comes into view, it takes your breath away. The trip was all that I had hoped for. 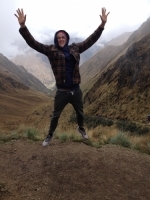 Conquered the Inca trek ! 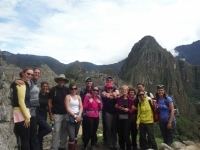 What an amazing experience doing the Inca trek, words can do no justice how great it is. Carlos (the king of the mountain) was a fantastic guide and the porters were incredible. We came home after a long day of trekking to a full 2 course meal and tents all set up and a friendly welcome. Had an amazing experience. 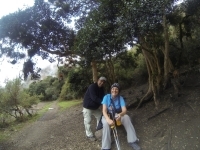 Had a great trip leader, Carlos the King of the Mountain. We were very fortunate to have a great team with porters, cook, etc. They are truly phenomenal. The views and experience is sensational. I can see why it is a wonder of the world ! The first briefing was great, very informative and you knew what you were getting into before you started. Paul made sure everybody was well prepared with the appropriate equipment before we started. Desde los quince años que deseo venir al Machu Picchu. Después de muchos años pude lograrlo y eso para mi significo uno de mis grandes logros. En estos días acompañada por mi esposo, que es mi compañero de todas mis aventuras, vivimos unos de nuestros mejores momentos.